Steve Backley OBE is a retired English athlete, who was formerly the world record holder for javelin throwing. During his career, he won four gold medals at the European Championships, three Commonwealth Games gold medals, two silvers and a bronze at the Olympic Games, and two silvers at the World Championships. Steve is the only British athlete ever to win three consecutive Olympic medals. He also set three world javelin records in a long illustrious career, and was ranked World #1 in three different decades. As a result of his personal success, Steve is often asked to share and help design a method for others to enjoy sustained and repeated success. Steve is much more than a successful Olympian; in the decade since retirement from sport he has nurtured his skills in his understanding of business challenges. He has successfully built two businesses, one being BackleyBlack and the other iPerform an e-learning programme, both with fellow Olympian Roger Black. 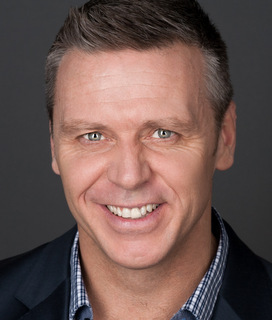 Steve has since become a successful business speaker who uses anecdotes from sport to help inspire and develop individuals, teams and organisations. He is the author of “The Champion in All of Us: 12 Rules for Success”, which draws on his 15 years of experience competing at the highest level to inspire others to reach their goals – whether in sport, business, or everyday life. Steve is also the author of “The Winning Mind: A Guide to Achieving Success and Overcoming Failure” (2000). Steve was awarded the MBE in the 1995 New Year’s Honours list, and an OBE in 2003. He was inducted into the London Youth Games Hall of Fame in 2009. "Steve has set about transferring Olympic performance into the workplace. In his own, unique, memorable and succinct style, he talks about how to address typical challenges in areas such as Leadership Development, Engagement, Coaching, Accountability, Change and Team to name a few. His presentations are always designed to meet the needs of any client wishing to drive the performance of its most valued asset, its people."